Although the Environmental Protection Agency (EPA) outlawed the use of some asbestos materials used in construction in 1989, exposure to the cancer-causing mineral continues to threaten public health. Two examples of it came in unlikely places this week — at a police station and at a hospital. 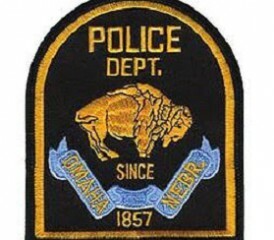 Nebraska officials reported that the Omaha Police Department headquarters is in need of an asbestos abatement after asbestos was discovered in four of the 40-year-old department building’s six floors. A $115,000 joint study released this month identified options for how to renovate police headquarters. Omaha and Douglas County offered three solutions that would keep the headquarters at its current location and a fourth that would result in a newly constructed building. No potential locations were suggested in the study. The price tag for these solutions ranges from $43 million to $52 million, a noteworthy obstacle for Omaha and Douglas County. Regardless, deputy police chief David Baker asserts that the asbestos is non-friable and thus currently not a health risk to the building’s 200-plus employees, he recognizes the need for preventative measures. Other U.S. police departments have faced similar issues. In Philadelphia, the Fraternal Order of Police (FOP) filed a grievance against the city in September 2010, incited by working conditions at police headquarters. In this case, corrective action was responsive. FOP President John McNesby released photos of a taped off wall section with visible asbestos from the 22nd district in North Philadelphia. Although efforts were made to contain the asbestos and a sign was posted to warn occupants of cancer and lung disease hazards, fibers may have already become airborne putting the safety of the building’s occupants at serious risk. In addition to asbestos exposure, Philadelphia police have also reportedly dealt with fleas, bedbugs and a lack of proper air conditioning and heat in several municipal buildings. The mayor’s office states the city has spent $11 million repairing the building over the past three years and plans to spend another $10 million this fiscal year. After a February 2011 basement flood in Ann Arbor, Michigan, the city hall approved a $66,400 contract to decontaminate the Ann Arbor Police Department property rooms and storage trailers. The police officers union cited concerns about mold and asbestos after eight months passed and the basement was still not properly repaired. Numerous tests concluded that the building’s radon levels far surpassed acceptable amounts designated by the EPA. The union believes these health issues may have contributed to health issues in several officers, including two who died of cancer in the past two years. In Wyoming, an unexpected discovery of asbestos building materials interfered with the deconstruction of an old hospital at the University of Wyoming. Plans to demolish Ivinson Hospital and construct a parking lot in its place were hindered this month upon the discovery of a type of asbestos-containing flooring in the hospital’s foundation. UW Facilities Planning Director Roger Baalman stated that the delay will slightly increase the price of deconstruction which was initially contracted to Alpine Demolition and Recycling, Inc. for nearly $300,000. The walls of aging municipal buildings throughout the United States often hide asbestos-containing materials, and removal can not only be costly, but dangerous as well. Asbestos deteriorates over time and can become friable, which means its fibers become easily separated and released into the air if disturbed. This becomes problematic when asbestos-containing buildings require repair or demolition. Prolonged exposure to airborne asbestos fibers is proven to cause several life-threatening respiratory diseases including lung cancer, pleural effusion, asbestosis and mesothelioma. As older municipal structures inevitably fall into disrepair, dormant asbestos materials must be safely removed and disposed of. A process also known as abatement, asbestos removal can potentially increase the risk of exposure for both workers involved and building occupants who may already experience harmful asbestos-related health effects. As these examples demonstrate, a nationwide ban on use for construction does not necessarily ensure the public is safe from asbestos-related disease. Dated municipal buildings throughout the country still contain asbestos putting countless people at risk for lung disease and mesothelioma. In many cases the presence of asbestos is not an immediate health risk, but a potential danger that will ultimately require a safe solution. Joey Rosenberg is a researcher and content writer for The Mesothelioma Center. He is an alumnus of the University of Central Florida with a background in technical writing. Joey joined The Mesothelioma Center in 2011 to raise awareness and understanding of mesothelioma and other asbestos-related diseases.